Nemoria mutaticolor, adult male. Collected Madera Canyon, Santa Cruz Co., AZ, 01 July 1960. Collection of Cornell University. Nemoria mutaticolor, adult male. Collected Madera Canyon, Santa Cruz Co., AZ, 01 July 1963. 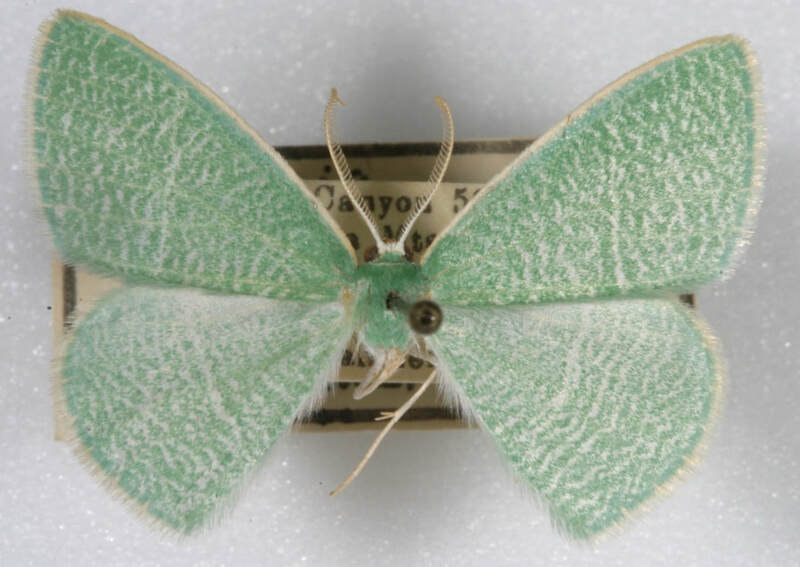 Collection of Cornell University. 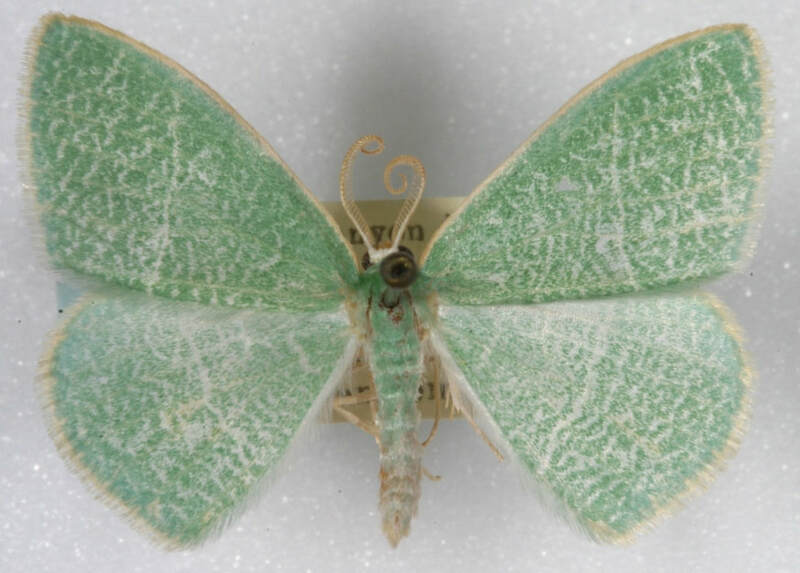 Nemoria mutaticolor is an uncommon, turquoise green Nemoria with extensive white striations that outwardly resembles Nemoria strigataria, though it has a different wing shape and slightly different angle of pm line meeting the forewing hindmargin. It has only been collected in SE Arizona and Mexico. Ferguson notes that genitalic structures suggest this species may not be especially closely related to strigataria despite the outward similarities.